“LED there be Light” could have been the motto here as I move on to start the next project, part of the interior´s refit of my King´s Cruiser 33. 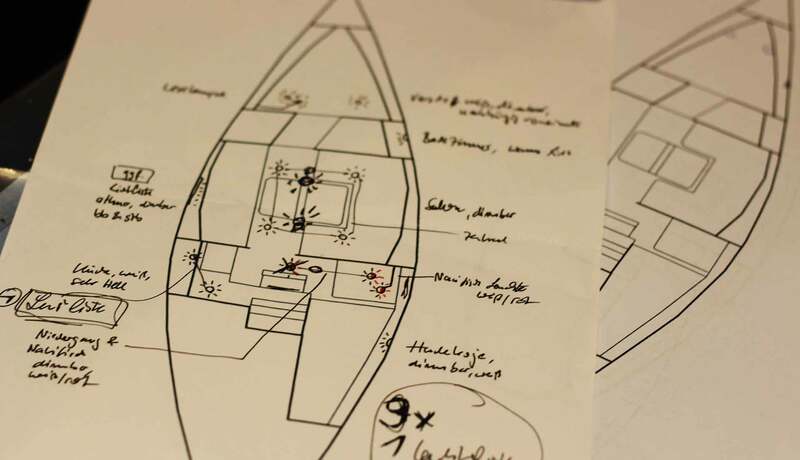 The fact that I would have to rethink the whole internal lighting-concept in the course of refurbishing my 40 year old boat isn´t that all-new: Inspecting the boat during my trials prior to the purchase put this point on the agenda very fast. Simply: The old lighting was buggy, worn down and partially broken. 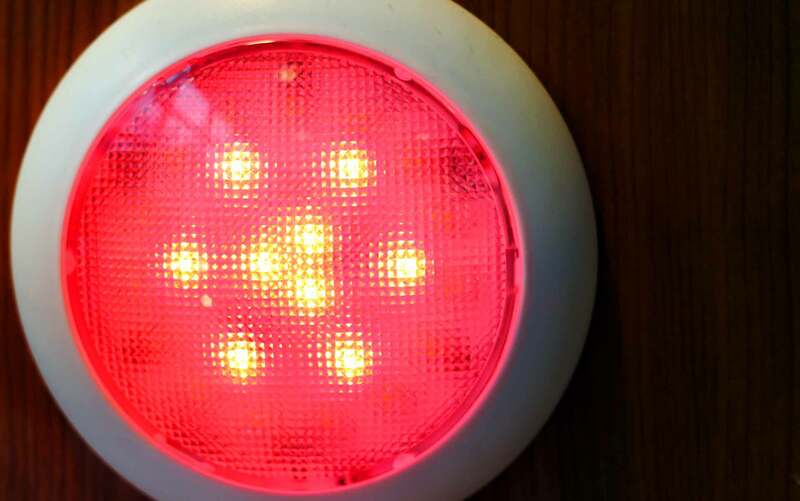 Switching to Light-emitting Diodes was self-obvious, in the first a mere intuitive decision. What such an idea would entail me to and how best to proceed (that´s an electrical issue and I really hate all stuff connected to electrics) was uncharted terrain for me. I was lucky to find Andreas Hercog of the German Maritime Retailer a.w.niemeyer willing to stand by and share his knowledge with planning the new LED-lighting and buying the proper products. Andreas Hercog is also willing to help me with good advice in the coming periods of the LED-retrofit which I do really appreciate. So, last week I took my chance to go through my ideas item by item and thus enabling myself to draw valuable information and basic knowledge about LED in maritime utilization which I am glad to share with you here online. LED Lights for Yachts: Fad or Trend? „The usage of LED-lights on board boats is definitely no trend anymore“, says Andreas Hercog when we started our conversation: „The advantages of LED-technology are overwhelming and especially in the sector or mobile lighting as applied on yachts, in caravans, underway in general, LED-lights have had their breakthrough and are the defining technology right now.” As reason for the triumphant victory of the Light-emitting Diodes over ordinary light-bulbs Andreas refers primarily to them being ideal for operation by mobile low current provisioners such as batteries and the connected potentials for cost cutting. 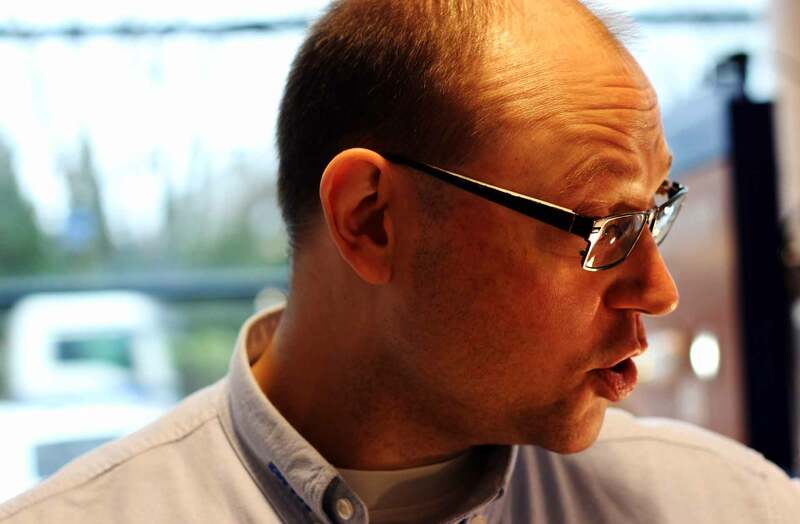 “I am very sure that over time LED-technology will completely substitute light-bulbs”, Andreas proceeds. And right he is: I cannot remember a single boat back when I´ve visited the Hanseboot-fair last year (here´s the complete article) not being outfitted with LED-technology. When I flick through the various sales-catalogues or roam the diverse magazines there is no single picture taken from onboard a yacht featuring bulb-lighting. I guess it´s the same as with teak-deckings, maybe a bit more radical and faster, where in the low and middle segment of pricing teak-imitation is the material of choice and substituting real wooden teak decking over time. But speaking of advantages: What are the real advantages of those small diodes? When it comes to talk about the pro features, Andreas Hercog puts forward the cost-efficiency first: “An LED has only 10 per cent power requirement over an ordinary filament light. Through that it is possible to achieve savings of up to 75 per cent – and I mean this is a real, physically established figure, not a theoretical calculation.” Conditional on their building an LED will last a lot longer than good old Edison´s tungsten filament: Where a light bulb will dispense light for some 3.000 to 5.000 hours all in all, an LED will emit light for 100.000 to 150.000 hours in total. 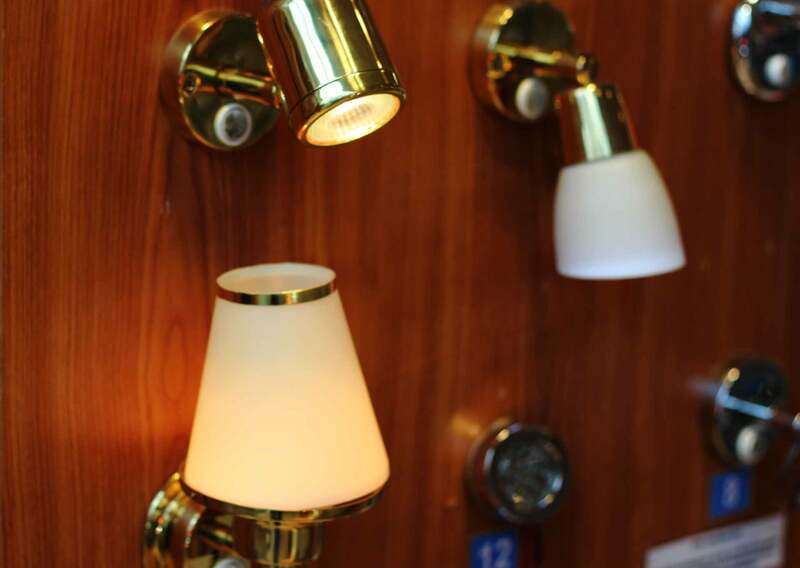 Thinking of how often I do switch on the light on my yacht (or to put it frankly: How often I don´t have a demand for light at all) one can act on the assumption that after retrofitting my yacht with LED I won´t have to work on the lighting for decades to come. Good old Edison´s Light Bulb: Soon a Thing of the Past? Another aspect here is the wiring: „Because of LEDs having such a tiny demand for current much smaller calibers of the wires are possible. That will go easy on the cost required for the wiring as well as it will reduce weight. Sure you can go on to use the old already installed wiring as well. Where ordinary lighting-wires for 12 volt should have a 2,5 sqmm caliber, an LED can be safely run with a 0,75 sqmm wire.”, says Andreas. But can that be for real? A technology that has only pros and no cons at all? I do ask specifically for the downsides to LED-lights. Andreas Hercog replies fast and as open as ever when answering: “Sure there are downsides. 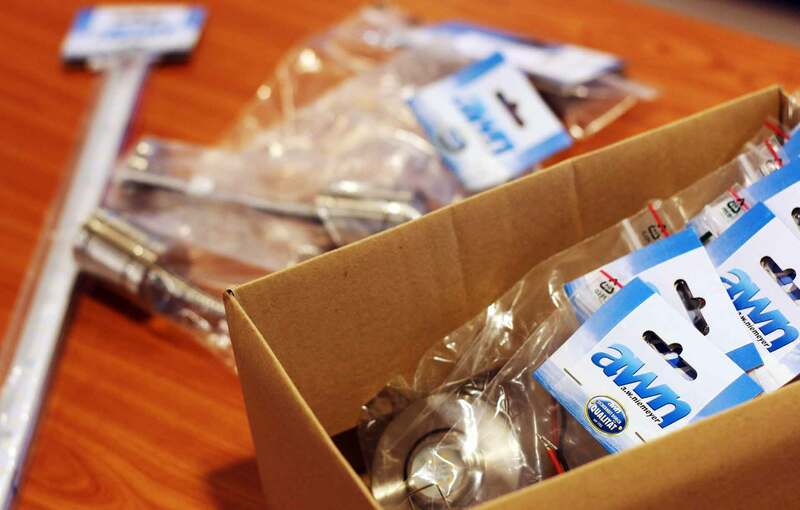 At first there is surely the initial outlay when switching to LED-technology.” People who plan to equip their boats with LED-lights should set their budgets twice to three times the budget needed for installing filament-bulbs. “But concerning the longevity of LED these high spending will be made up fast over time.”, Andreas insures. 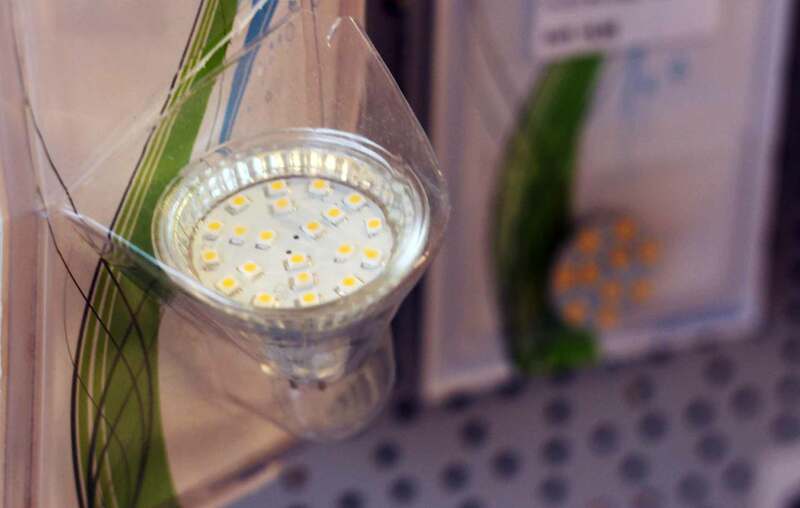 At last it´s a question of time until a new generation of cheaper LEDs will hit the market and of course the ever growing distribution of LED-technology will speed up this development too. “Another point here is the weaker light achievement out of LEDs. 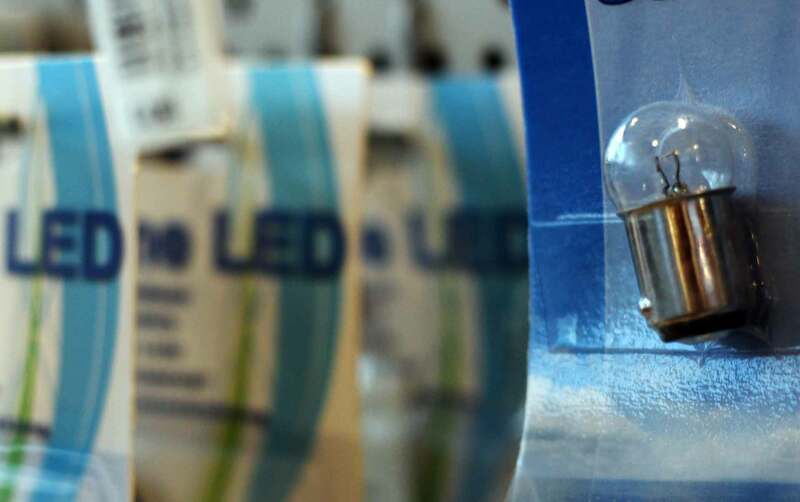 This means you need to have more LEDs than bulbs to get out the same amount of light.” Andreas states a classification number of 1 to 1,5 LEDs over bulbs for the same amount of light – which will go down on the high initial cost as well. The quite nice and sometimes breathtaking effect of dimming the LED has its price too: “Where an ordinary light-bulb in order to be dimmed will just receive less and less electrical current which makes the filament glow less the same effect has to be achieved differently with a LED.” Dimming a LED is realized by quickly switching on and off the diode thus simulating a dim-effect. “Such many procedures of activating and deactivating the diode will have their effect on the lifecycle of the diode itself. Besides, some people find this flickering flutter of LEDs rather disturbing.”, says Andreas. “It is absolutely necessary to go for especially dimmable LEDs made non-flickering for the human eye if you want to have them dimmed.” Nevertheless, the idea of having dimmable LEDs in the fore cabin (here´s an article on my plans with the forecastle) and in the saloon is dead by now. Just because of the fact that I would need to go for extra-equipment for dimming. I do ask Andreas if there are special LEDs needed for servicing on a sailing yacht. “In principle the diode itself is always the same, regardless if in usage in the inside or outside, on a ship, on a plane or in your home. You just should take a careful look if the stuff around the LED is made for the utilization you have in mind: The right fittings for example: They have to be made corrosion-resistant to cope with the special demands on the high seas with a lot of condensed or splash-water.” The formula electricity + humidity is rather unfavorable. Bur for any material installed on a boat. 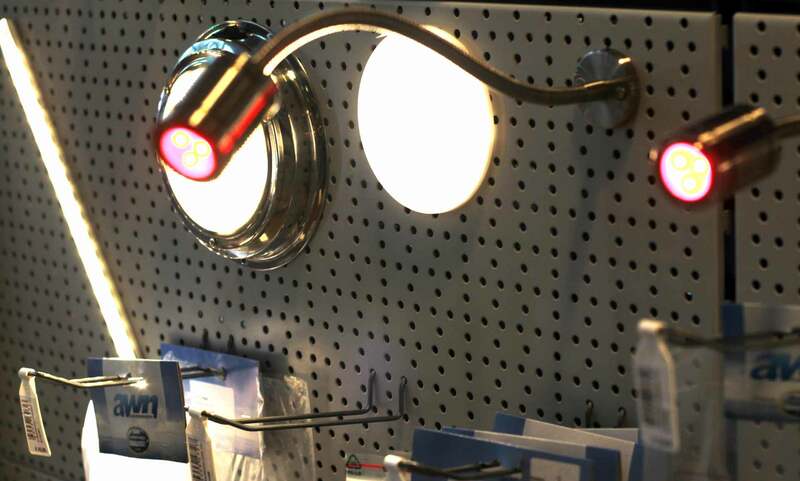 Concerning LEDs and lights a buyer should go for specifically maritime branded products. “The LED itself can be put under water – it would still emit light as if it were nothing.”, says Andreas. “A time ago you had to be very carefully installing the LEDs because you should strictly go for the right polarity. But nowadays these diodes are rarely met. But you better should take an extra look whether you got one.” Not every LED fits every bulb: “Most of the time you would apply the G4-fitting back in your home or flat. A yacht owner should go for the BA 15, the D- or the S-fitting.” I didn´t knew that one too. A LED should always be optimized for DC-currents with 12 volt – just as our supply system on board. “But there are also LEDs capable of taking 24 volts and even 12 volt AC-LEDs are on the market as well. 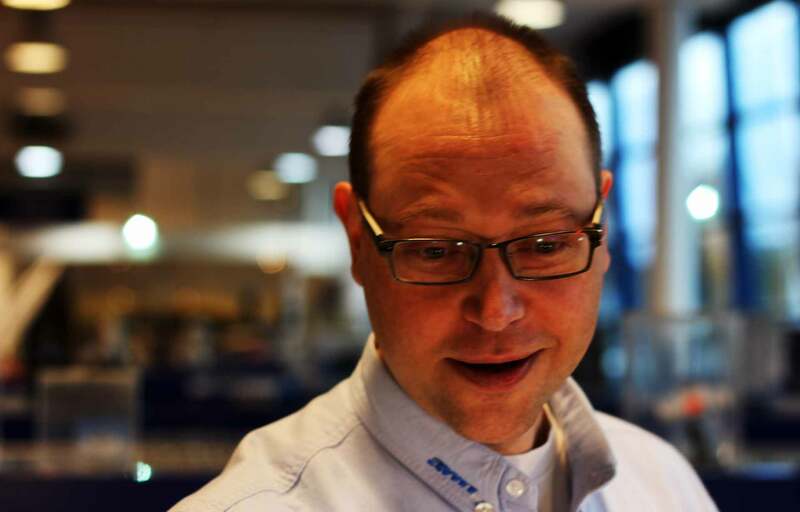 “LED Lighting is definitely the Future”, says Andreas Hercog. But more important than technical basic knowledge Andreas Hercog refers to the performance in light output: “The natural daylight of our sun we got used to over the time of our evolution ranges from 5.300 to 6.000 Kelvin. Everything above that figure is perceived as being a rather cold light. 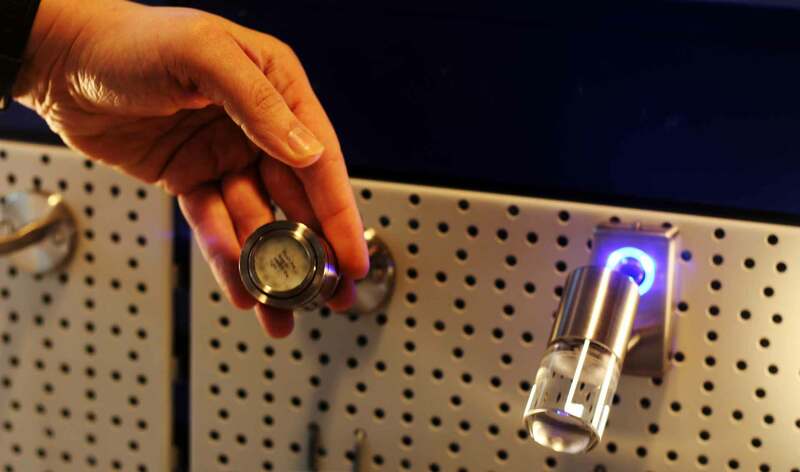 This blue, so called “ER-light” has more than 6.000 Kelvin.” An ordinary 40 Watts bulb, Andreas goes on, has some 2.200 Kelvin, thus creating a warm, yellow light. “When it gets to 3.000 Kelvin and lower it´s getting cosy for the human eye. You should opt for those LEDs when buying stuff.” Most LEDs tend to have a rather cold and blue light. That´s because these diodes are the most energetic-efficient LEDs available. “There are LEDs in all colors available but the blue ones are the cheapest and longest living ones. The colors will be made by colored filters later.”, says Andreas. How should a yacht owner advance when refitting his boat with LED-lighting is on the todo-list? Andreas Hercog is a longtime costumer adviser, a skilled yacht electrician and by himself a sailor as well. He has a clear understanding of how to best equip a yacht with diodes: “At first I would suggest every yacht owner determined to retrofit his yacht with LED to record the status quo of the current lighting situation on board. Best done by a sketch. You did quite a good job with your own sketch here.”, says Andreas despite the fact that I didn´t not the status quo due to the fact I didn´t liked the lighting situation of my boat. I wanted to hit the nail on the head and removed the old lights as a whole (here´s an article on the first milestone of my refit-project: removing everything from the boat). But why does Andreas suggests to keep track of the current status? “It´s because mostly the concept of where to have the specific lights on a boat are there with a cause. You can think of keeping the old positions when upgrading to LED and how many and which lights you´d need to install in the process. Optimizing ones ideas is a work-in-progress, says Andreas, because: “The second step from my point of view is to take those LED-lights you have chosen for your boat with you on board and connect them with one of these portable 12 volt batteries to live-test their light, the ambience and temperature of light.” Sure, that makes sense: LED-spotlights will behave different from ordinary bulbs, angle of radiation as well as light-capacity itself can divert from the concept: “In case of doubt you will come to the conclusion that you will need some more LEDs on different positions to get the result you wished for. Or maybe you´ll realize that you need less or smaller lighting than planned. That makes sense as well, because Andreas adds: “Nothing is more frustrating than having installed everything properly and when on cruise later you realize it´s too dark or way to bright.” Third and last: Buy the proper stuff. Concerning my own King´s Cruiser 33 I do have a very solid perception of what and how I want things to be realized. When it comes to the fore cabin I know two smaller lights in the ceiling will do – no dim as I mentioned before. Right in the awn-Shop Andreas does test the radiation-angle of the light I chose and we judge it being sufficient. For the port side of the cabin where either my wife or me are going to find rest a simple reading light will be installed, mounted on a short flexible shaft (the long-shafted version is going to be the chart-table light). I can reduce the lights from now 4 to just three. Why? There in the bow we are just sleeping. Switch on the light for a short time, find your stuff for the night, slip into the sleeping bag and that´s pretty much it. I do not need a fancy nor oversized lighting concept here. I go for small and chary lights. When it comes to the saloon I do opt – just as for the rest of my ship alike – against the option to dim the lights. When did we use the lights in the saloon? I really ask myself and come to the conclusion: Very scarcely. I do switch it on when I am losing myself in chart-works and do have a load of literature and logbooks on the dining table to work with. Or maybe when we do have a bigger dinner with a lot of people. But for the rest of the time: We will have candle light (much, much more romantic!). At first I was thinking of having LED-strips behind the wooden coverings right under the portholes of the saloon, dimmable, but I do write the off the list as well. I want to keep it simple and clean. Andreas recommends a light strip for the pantry though. It will produce enough light to have the oven and the working table fully illuminated. For the entryway down from the cockpit and the navigator´s place I chose two more lights in the ceiling, one another for the quarter berth and the reading light with a longer flexible shaft. All in all its 12 lights in my shopping cart in the end and the whole equipment comes at a price of some 300 Euros for lighting the whole 33 feet cruiser with LED. I was pretty astonished having Andreas Hercog with no complaint about my lighting concept. We save four lights in total and I am choosing small, tarnish silvery lights to outfit SY OLIVIA with. I do not wish to have the old brazen pomp of the old OLIVIA back on board and although I want to preserve as much of her classic appearance as possible I do make an exception for chary modernity here. Just when I do finish working on the glassfiber surfaces (here´s an article on how I sanded all internal GRP I will proceed to the next big milestone: Electrics. Of which the lighting is an essential part. I hope to being able to go on working with wires and lights in April or June and I am going to post excessively on this part of the refit as well. Many thanks to Andreas Hercog of awn Hamburg for sharing his time and knowledge with me. I am looking forward to have him as counselor on my side for the upcoming steps. What do you think of LED lighting for yachts? Looking forward to your comments as well.